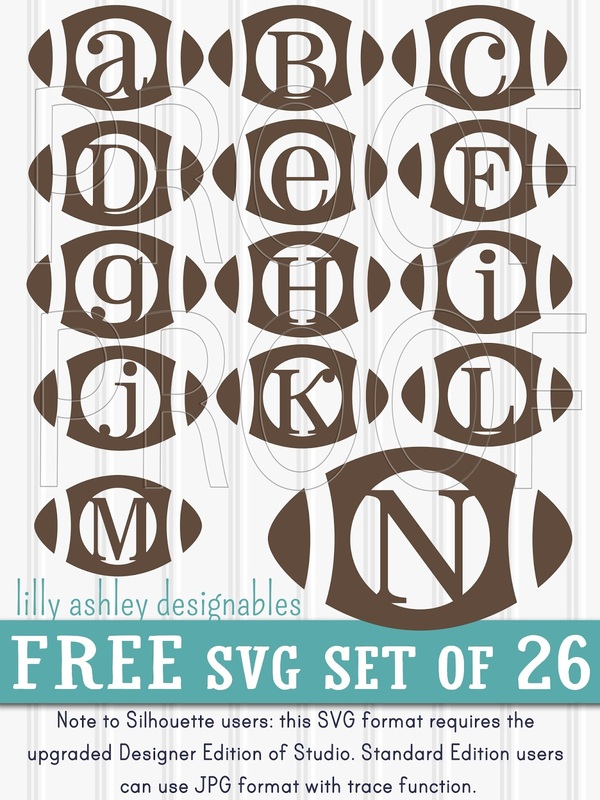 Today's freebie is a set of football letters great for upcoming Super Bowl! If you haven't already noticed...I like to (try to) have monogrammed items for every occasion, especially festive shirts for my little ones! It always makes it fun for them, and since we have FOUR now, I usually just go ahead and make the whole letter set. ;) I'm happy to share! 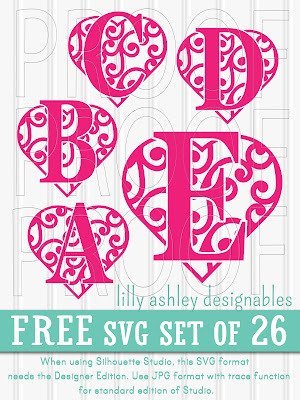 This free SVG set includes letters A-Z for a total of 26 cut files! Each football comes in black in SVG, PNG, and JPG formats, and brown in SVG and PNG formats. 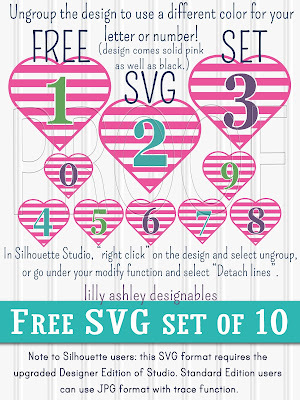 Due to the nature of the font we used for these, the designs are a mixture of uppercase and lowercase. 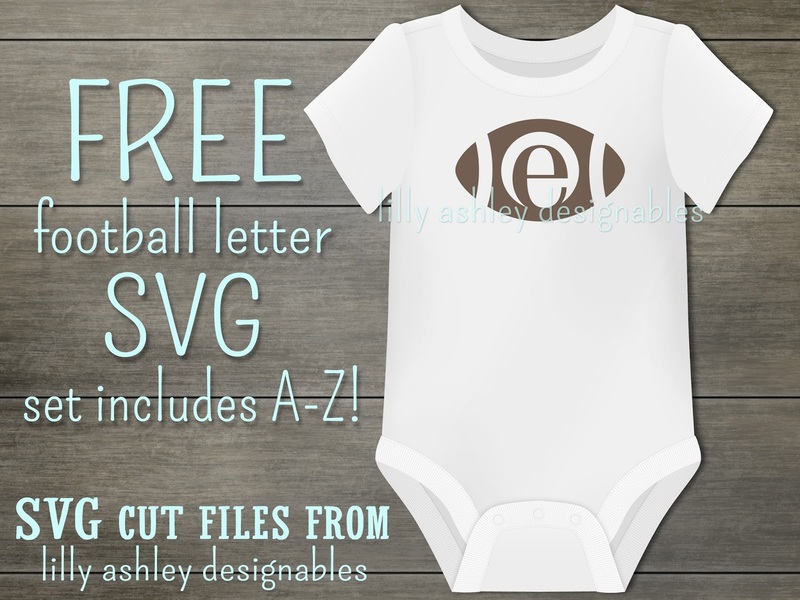 Includes letters A-Z for a total of 26 cut files! 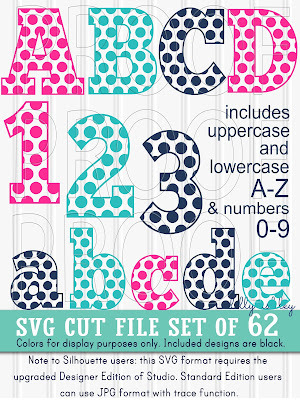 For more letter sets, we have this best-seller polka dot set of letters (upper and lowercase) AND numbers in our shop! Hope you enjoy today's free svg file set of football letters!